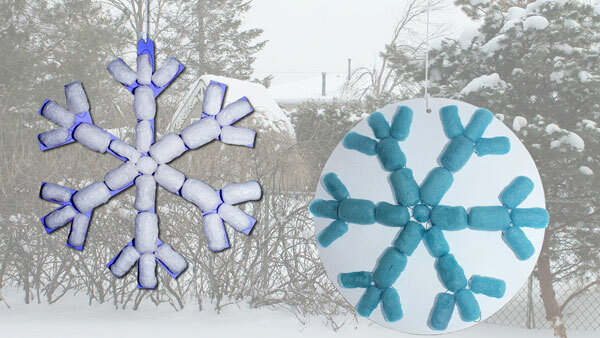 There are lots of ways to create a snowflake. We have a few of them on our site. Each craft that you run across, will give you the ability to see snowflakes a little differently. Doing this, is very important for children, because nothing is ever the same for them. You can drive the same stretch of road for 10 days, and each day they will find something different about it. Crafts should take this on for children. Especially, when they are stuck in the house because the real snowflakes aren’t letting them go outside. What is so special about this particular project? Well, let’s just say it tends to grab the attention of the young, in a unique way. The things they create from this craft will also be as distinctive as they are. The most important material here and the main ingredient in keeping kids interested is Magic Nuudles®. No, these noodles aren’t the long ones that you use to stay afloat during Summer. These are much smaller and can help you introduce a scientific aspect during this artistic craft. Magic Nuudles are made of cornstarch, which enables them to having special features opposed to other types of 3-D artsy materials. All children are amazed by magic. Once you show them the Science behind it, they will start getting interested in Science and be begging to get their hands on this project. 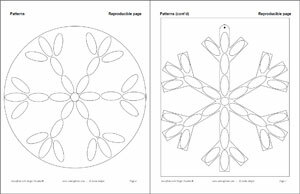 There is a stencil for you to use for the first snowflakes that your children venture to create. After they get the hang of the craft, encourage them to create their own hexagonal symmetry. Nuudles come in many different colours and so does construction paper. So the ideas are endless. 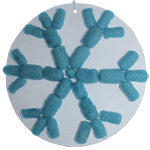 This particular project is great for hanging as decorations around a classroom or bedroom ceiling. At home, you may only decorate the most visited rooms with seasonal decorations. If the kids make enough, then expand your reach and let them admire their creativity all day and night long in their bedrooms.